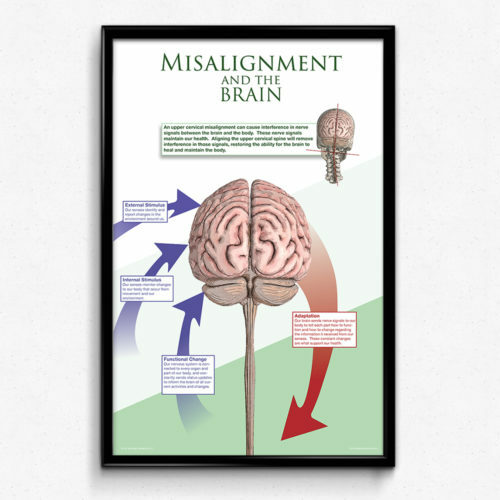 A patient oriented upper cervical reference poster showing the possible effects of an atlas misalignment on blood flow. 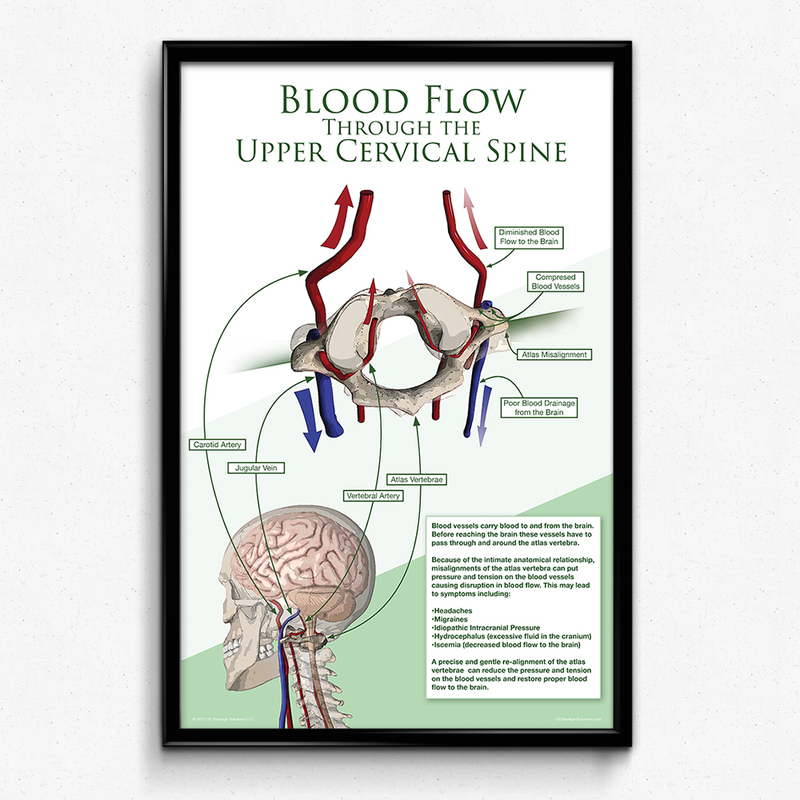 A reference poster for the Upper Cervical practice to show the possible effects of an atlas misalignment on blood flow. 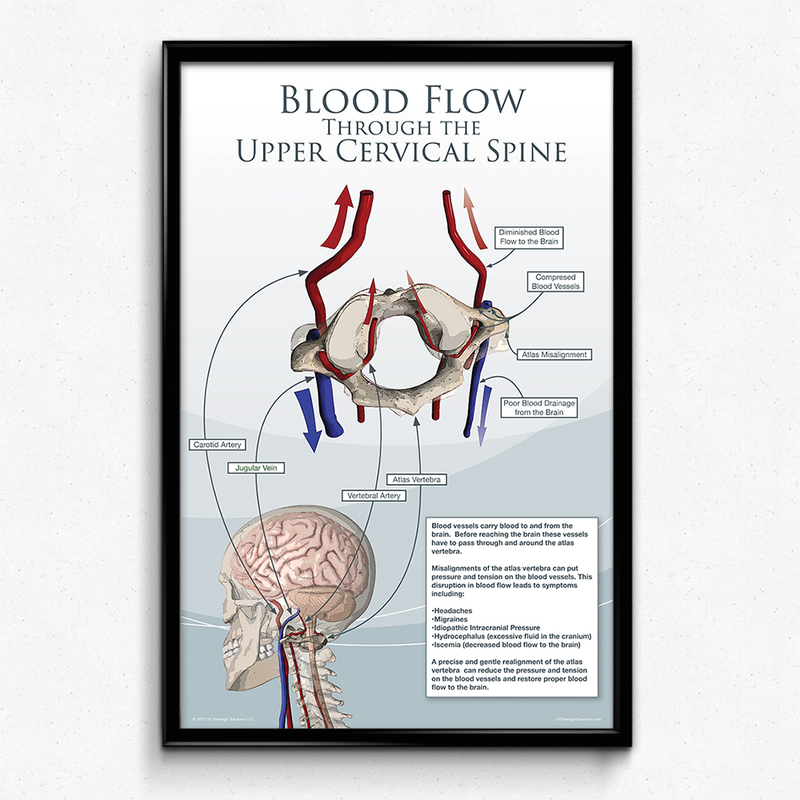 The illustration shows an atlas misalignment with diminished flow through the vertebral artery, carotid artery, and jugular vein, with labels going to all three and the atlas bone. 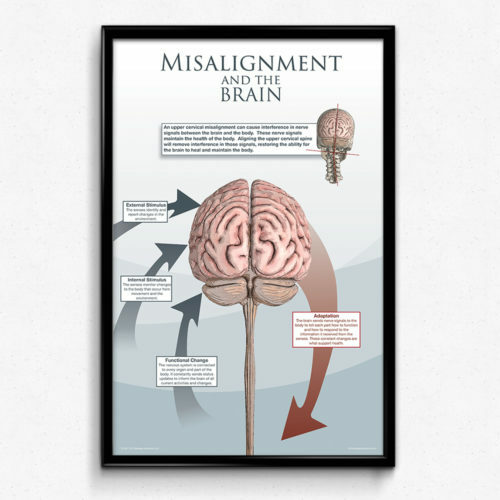 There are also labels pointing out diminished blood flow, the misalignment, and the compression of the vessels. 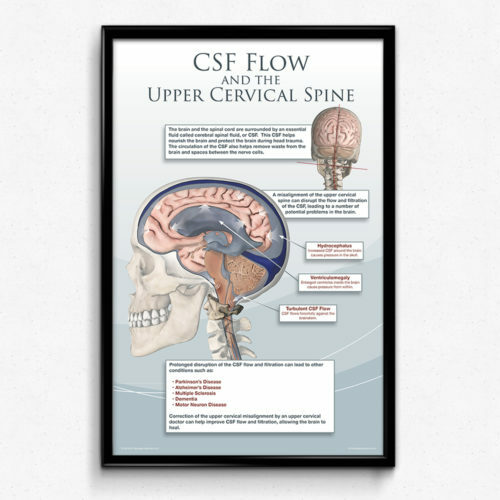 A smaller illustration on the bottom shows the location of the atlas and blood vessels in relation to the skull, brain, and cervical spine. Blood vessels carry blood to and from the brain. 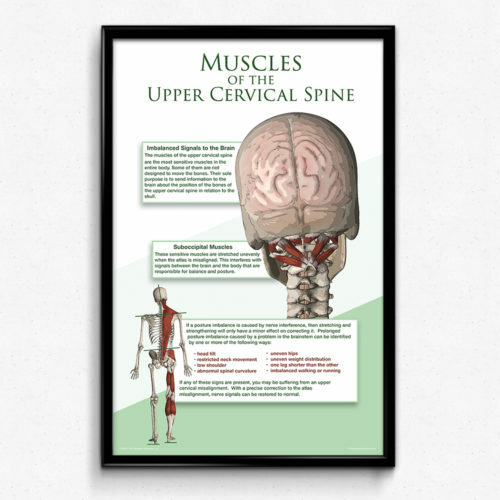 Before reaching the brain these vessels have to pass through and around the atlas vertebra. 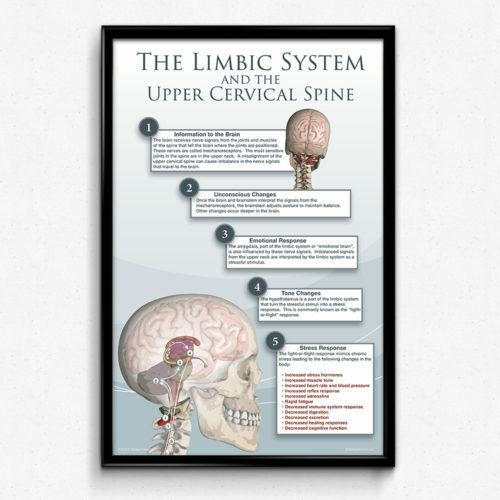 A precise and gentle re-alignment of the atlas vertebrae can reduce the pressure and tension on the blood vessels and restore proper blood flow to the brain.